Condo in Charlesworth! Vaulted Ceilings! Fantastic Location! Amazing Layout! New Paint! This Condo Has It All!! Nestled conveniently in the Charlesworth community just off Ellerslie Road and 66th Street, this area has everything to offer, from easy access to the Anthony Henday Ring Road, to being within blocks of the brand new Walker Shopping Mega Plex!! The unit is more impressive than the location! With vaulted ceilings this upper level carriage style condo features gorgeous tile flooring and carpet throughout. The kitchen and living room offer an open concept layout, meaning this is an ideal space to entertain and enjoy! The kitchen boasts a large island, making for plenty of counter space, a full pantry closet and stainless steel appliance which include fridge, stove, dishwasher and microwave! The spacious living room wows with its vaulted ceilings and large windows, which fill the entire unit with natural light! It even leads out on your own private balcony, perfect for a BBQ on a warm summer night!! Also in the unit there are two large bedrooms, a full bathroom with a tub shower. Plus you'll enjoy your own front loading washer and dryer laundry machines! No more sharing! One surface parking stall is included in the rent, and an additional stall may be rented (75$/month). No utilities included in the rent. Pets are Negotiable - Subject to $250.00 Non-Refundable Deposit. 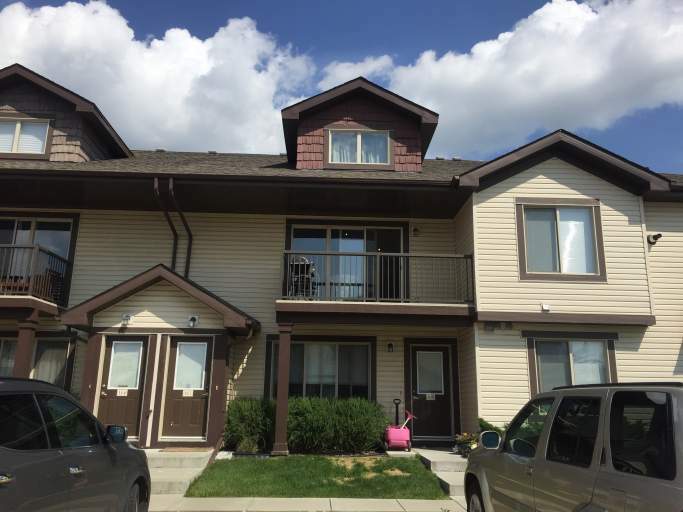 2 Bedroom Condo Availability - Condo in Charlesworth! Vaulted Ceilings!